Bhubaneswar, April 11: With the 57 polling percentage recorded till 3:30 pm in phase 1 of Odisha Lok Sabha and Assembly elections, shocking revelations are coming from state's Malkangiri, where 'Zero polling was reported in 15 booths in Chitrakonda block' due to fear of Naxals. 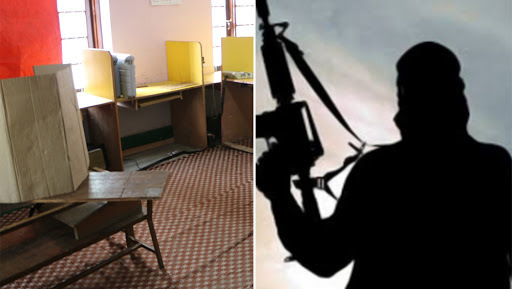 Even no voting in six booths of Odisha's Chitrakonda was registered due to the threat by Maoists. As per to the initial reports, though adequate security arrangements were made for the peaceful elections in the sensitive region, things have not worked out as per plan. After no voting recorded in the 15 booths, poll parties have returned to the base camp. Odisha Lok Sabha Elections 2019 and Assembly Polls: 57 Percent Voter Turnout Till 3:30 PM in First Phase Polls. Reports further state that in booth no - 6 and 8 in Temurupali under Mathili block of Malkangiri, not even a single vote was registered and after the poll timing ended at 4 pm, polling parties returned to their safe base camps.